In the aftermath of Secret Wars, it’s an All-New, All-Different Marvel Universe, and this is your one-stop entry point to the changes and mysteries that have developed during the eight months that have passed! 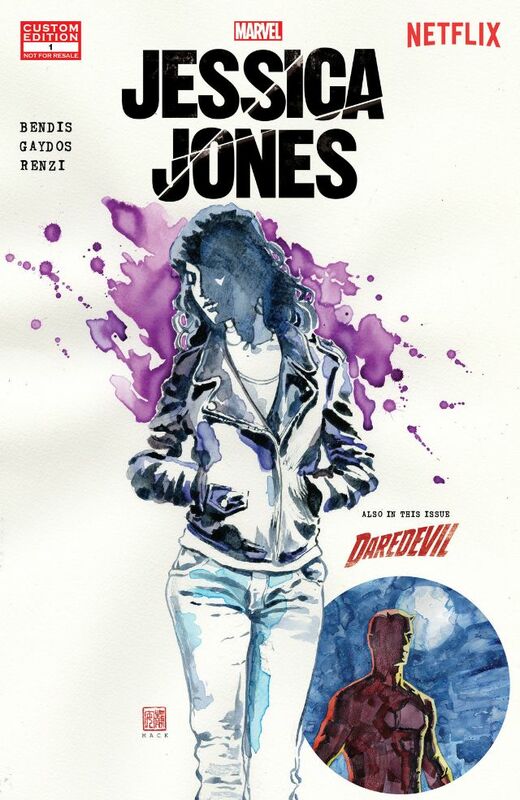 Featuring new stories of Daredevil, Carnage, Classified, Classified, Agents of S.H.I.E.L.D. and Contest of Champions! As Marvel has its soft reboot we get another round up/teaser for the months to come – set as the Maestro looking at the the Marvel Universe as we know it, changed after the Secret Wars, and what we can expect as far as story lines are concerned. 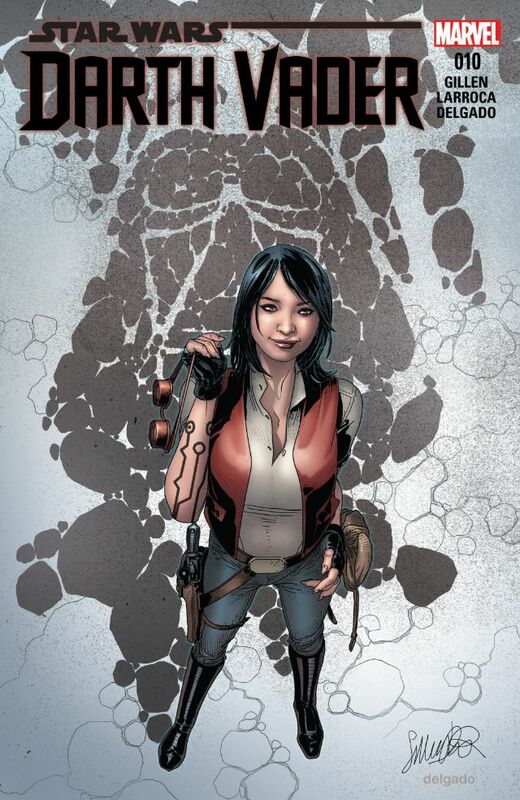 Some of the stories are continuing – Agents of S.H.I.E.L.D. for example, and some are new like Carnage. In all it’s a good teaser and I’ve made notes on what I want to read! I nice freebie for a teaser for the Netflix series – giving a small flashback cameo to Daredevil and the series he has, this is a simple read and gives us a good idea on what to expect on a day-to-day basis in the Netflix series. Worth checking out if you’re going to watch it! This was a well split story, with half of it being Vader and his investigation into the theft of the Empire – Vader doing his best to slow the investigation, while the investigator doing a very good job himself – even impressing Vader! Meanwhile, we get a look into another investigation on Naboo – especially the investigation into the identity of the pilot who destroyed the Death Star. From this we get an answer into how Vader and the Emperor discovered Luke’s identity and his relationship to Vader…. 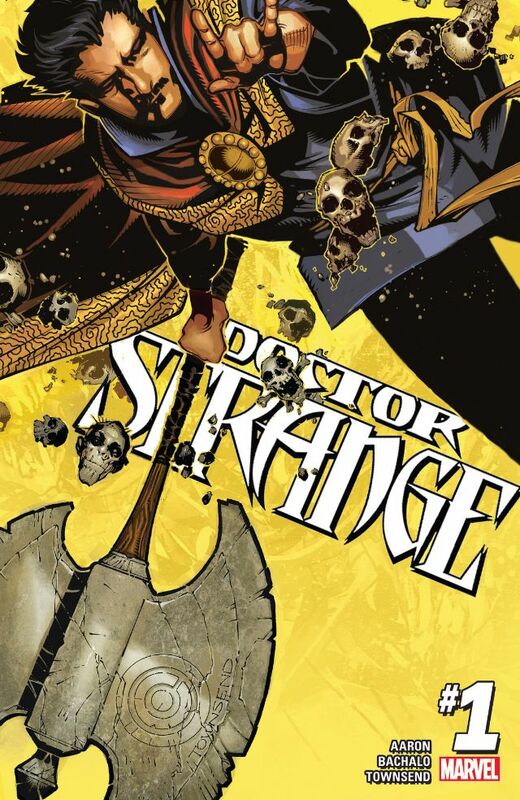 A new series – hopefully as a build up to the new Doctor Strange movie, this has Strange acting a little more carefree, with a sense of humour too. There is a quick origin story – done in a very unique way, then we’re into the action with some double page spreads. Strange also meets up with some other mystics in the “Bar with no doors” and there is some foreshadowing of the future storyline too! I quite enjoyed this and I hope it has legs! You didn’t think we were going to tell the story of one of Groot’s adventures without bringing Baby Groot into the fray, did you? With his goal of reuniting with his best friend (and interpreter) Rocket Raccoon within reach, Groot’s only got a ship full of mercenaries to contend with. Should be a piece of cake, right? 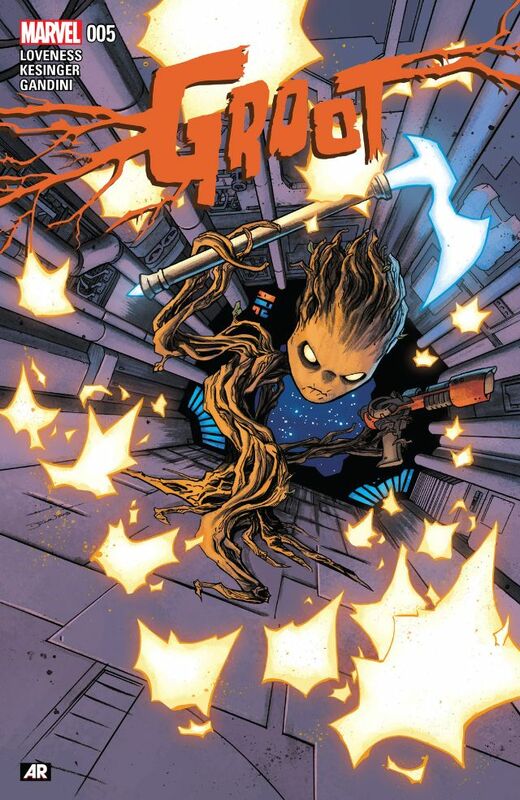 The final issue of Groot and we get the three stages of Groot – the baby Groot from last issue causes a lot of trouble for the bounty hunters, then the suped-up Groot causing even more trouble, and finally the Groot we know and love! This was a fun issue, with Groot getting his groove on with an interesting team of misfits. 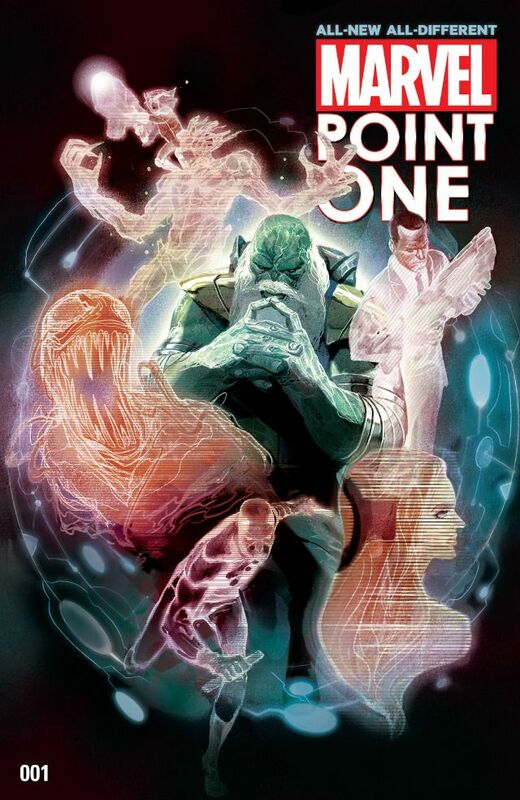 It’s a funny issue and moves in nicely to the upcoming Groot & Rocket series teased in All-New-Point-One! For the first time in the new Star Wars canon, journey with us into the time after the end of Return of the Jedi! 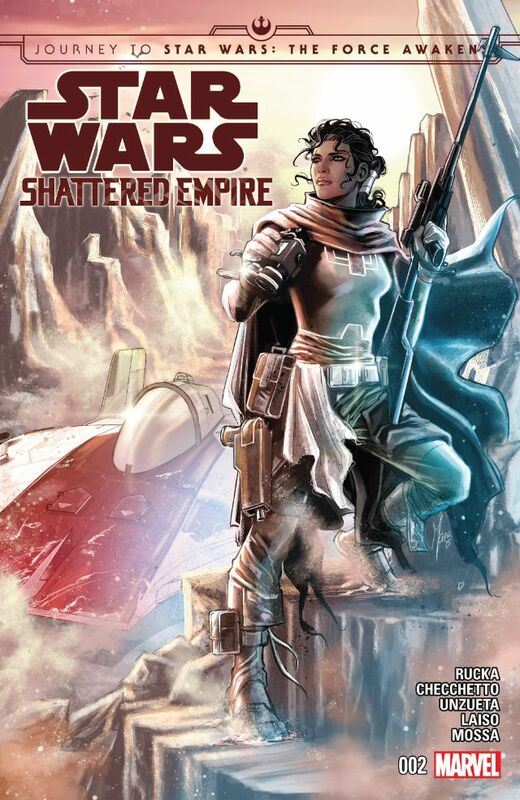 Writer Greg Rucka (Punisher, Wolverine, Gotham Central) and artist Marco Checchetto (Avengers World, Punisher), take us past the destruction of the second Death Star into the chaos of a Shattered Empire. Is it weird that I enjoyed the Empire section of this issue more than the Rebel/Alliance issue? This was intriguing as there seems to be somesort of plan if the Empire was to fall and the Emperor has a unique way of planning for this. Meanwhile, the Rebels are mopping up the Empire as best they can. Is it a surprise that the Emperor was a bad looser? Luke Skywalker- imprisoned! His friends race across the galaxy to save him before he enters…The Arena of Death! 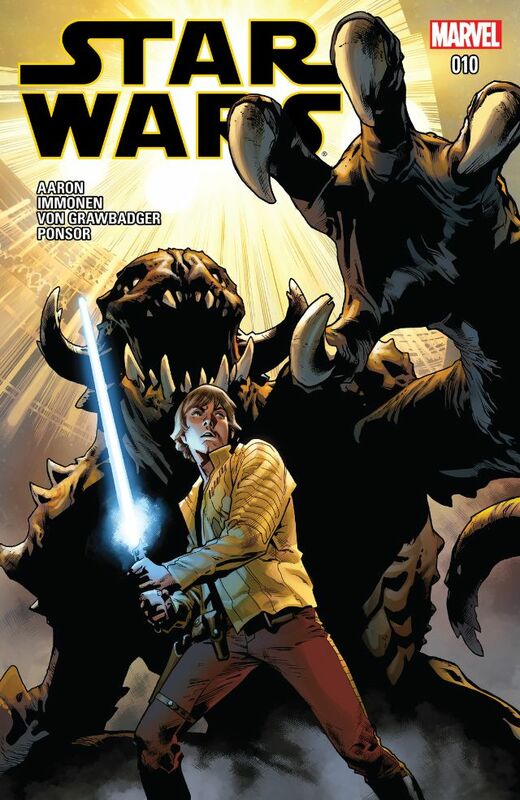 This issue answers a few niggling questions from the movies – all involving Luke. How does he become so good with a lightsaber in such a short amount of time? How does he know how to deal with a Rancor? This issue was an improvement on the previous one, with Luke getting some training, and his friends racing to his issue. We get Han & Leia (and Han’s “Wife”) and Chewbacca and the droids. Each have their own methods, but I like Chewies best! It began as the heist of a lifetime…now it’s a fight to survive! When Lando and Lobot took this gig, it seemed like an easy payday. But with this conclusion, they will never be the same. 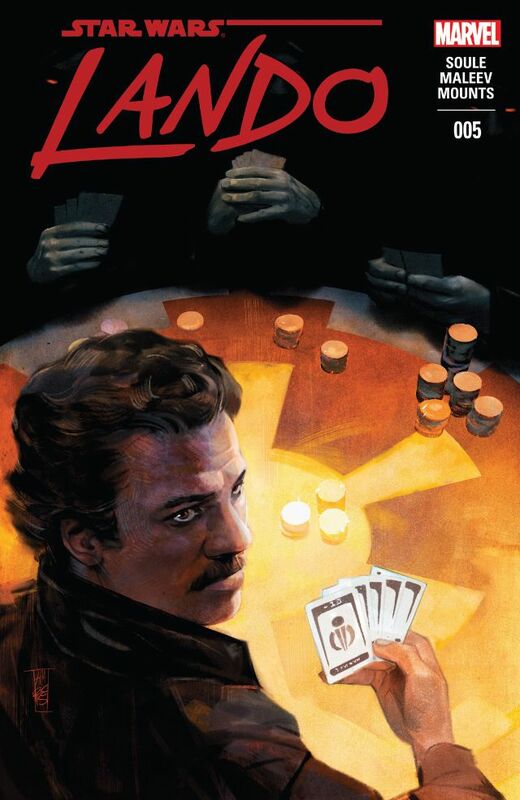 This final issue mops up Lando’s heist on the Emperor’s ship! It’s kind of a bittersweet issue, with Lobot making a sacrafice, and Lando learning some things! I like the bit with Lando and the guns, as this fits very well with the character! Roll on Chewbacca next week!